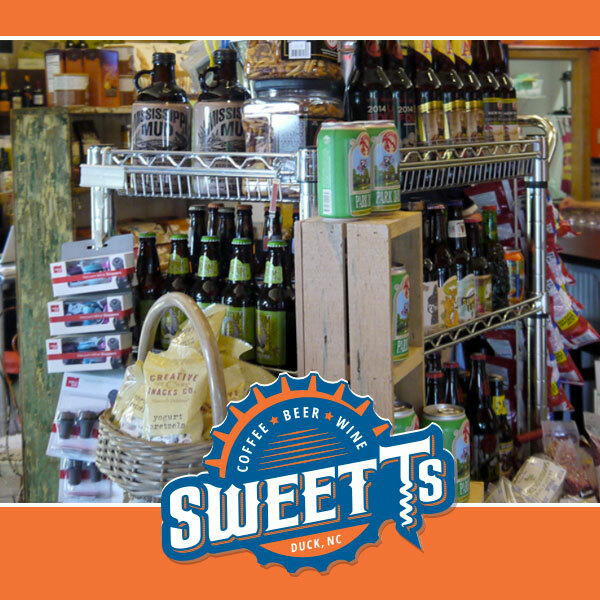 Sweet T's now offers menu items from The Salad Bowl in Kitty Hawk! Romaine lettuce, shredded Parmesan, tomatoes and roasted chicken tossed with our Caesar dressing. Quinoa, kale, spinach, roasted chicken, shredded cheddar, tomatoes, broccoli and chickpeas tossed with our sriracha ranch or pesto vinaigrette. Grilled steak, red onions, mixed greens, tomatoes, cucumbers, croutons and blue cheese crumbles tossed with our old school ranch dressing. Roasted chicken, avocado, blue cheese, bacon, tomatoes, egg and mixed greens tossed with our champagne vinaigrette. Roasted chicken, fresh corn, black beans, shredded cheddar, tortilla strips and mixed greens tossed with our cilantro lime vinaigrette.